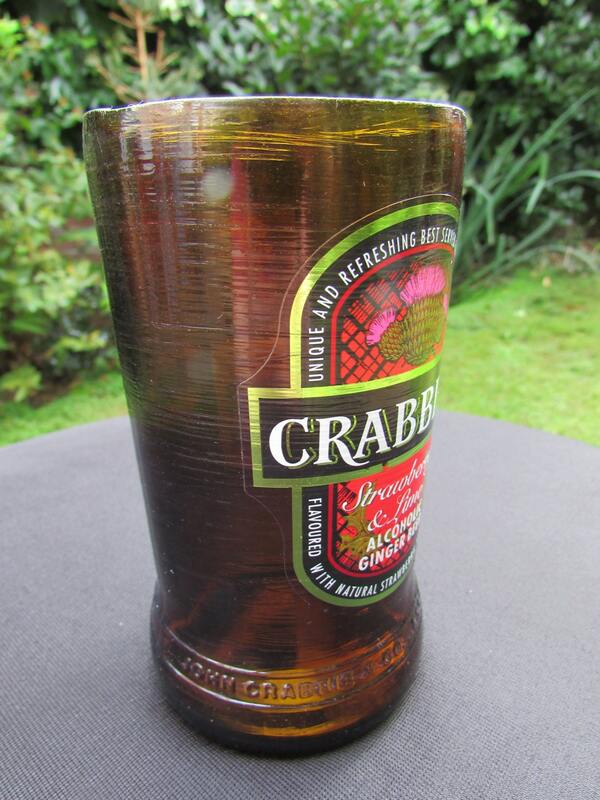 A drinking glass cut from a bottle of Crabbie's ginger beer. The label is protected with gloss glaze. 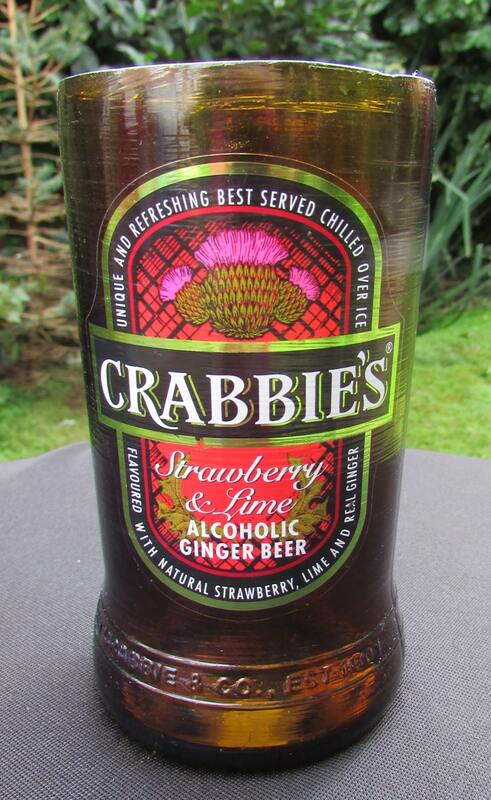 For fans of this drink or any other, glass sets of any quantity can be made from your own empties!